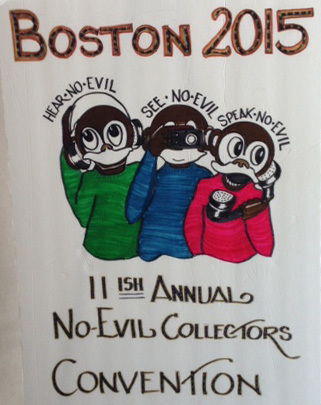 This web site is for those nice folks who collect the three "No Evil" monkeys. Whether you are a casual or a serious collector, just starting or long time collector, we invite you to join our email list. Proverb 1 The subject of this webpage, from the East, a noble moral code to follow, avoid evil in all forms. 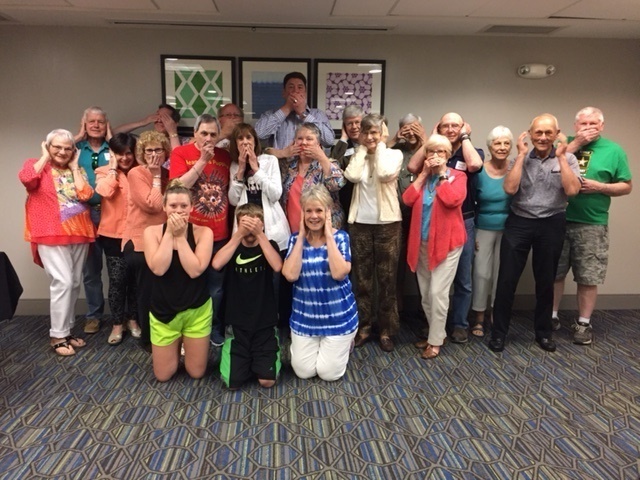 "Hear no evil, see no evil, speak no evil." Proverb 2 Professor Archer Taylor (1890-1973), a folklorist, writes about a Roman proverb. 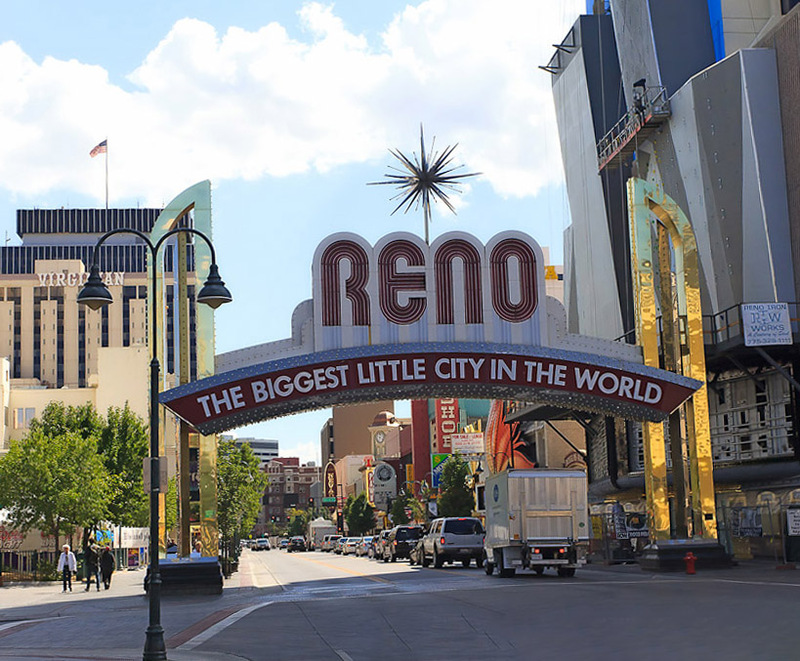 He traced it's early origins to a sermon in Paris about 1300 AD and to Gesta Romanorum, a Latin collection of folklore and legends in the late 14th century. "Audi, vide, tace, si vis vivere in pace." "Hear, see, be silent, if you want to live in peace." Proverb 3 A Proverb in the making for the 21st century. "Hear all, see all and speak out for freedom and liberty, if you want to live in peace." 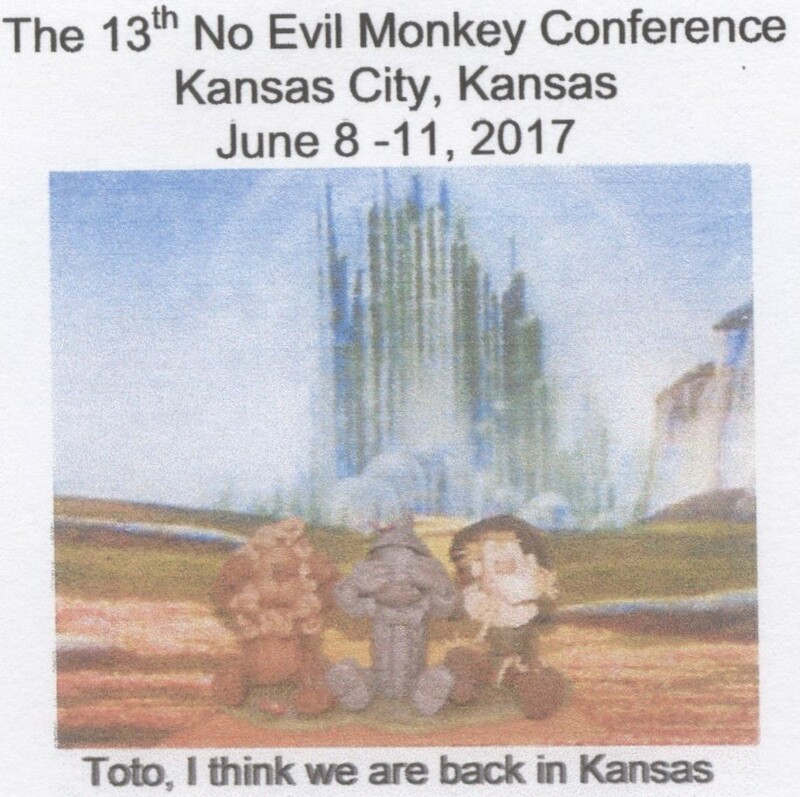 We initially met on eBay, aggressively bidding against each other, trying to acquire sets of "see no, hear no and speak no evil" monkeys. A collector, Susan Scribner, brought us together in St Louis, MO in October 2001, to meet in person and to share our common interest. The group now holds conferences where we socialize, hear interesting speakers, trade sets and conduct our own silent auctions. No charter, no dues, no officers, no rules and regulations, just for regular folks like me and thee. 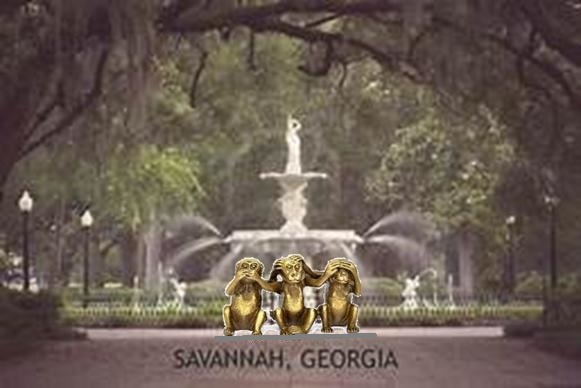 Savannah, Georgia, September 13-16, 2018 was cancelled due to weather. New meeting date is pending. Photos of our past meetings can be viewed on Emil Schuttenhelm's webpage from beautiful Switzerland. Emil Schuttenhelm, a Swiss collector for over 40 years, has a terrific webpage. You can see hundreds of pictures and learn in great detail about collectors and collecting. His website is presented in English, Dutch, German and French. Best of all it is a user friendly site to shop in Europe, the world's largest three monkey marketplace. 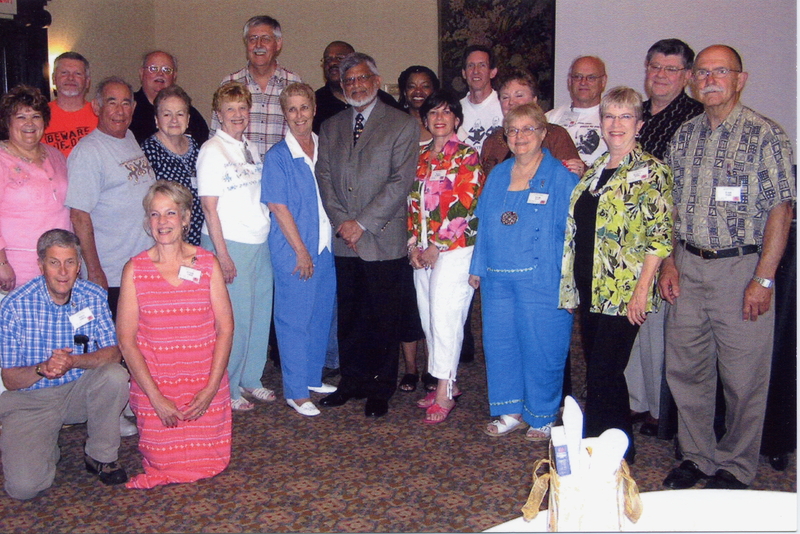 Our 2006 meeting in St Louis, hosted by David and Susan Scribner, was very special, our guest speaker was Mr. Arun Gandhi, the grandson of Mahatma Gandhi. Mahatma Gandhi, the Father of India, is recognized worldwide as the one who brought freedom through non-violence. Mahatma is know to have had few material possessions; he had a tin cup and spoon, a pair of sandals, his glasses and a set of no evil monkeys! Arun explained to us the meaning of these monkeys to his grandfather and the connection of the adage to Indian culture. The work of his grandfather had a great influence on Arun Gandhi. In 1999, he and his late wife, Sunanda, founded the M.K. Gandhi Institute for Nonviolence dedicated to nonviolence worldwide. The monkey was included as the 9th animal of 12 animals in the Chinese Zodiac about 2600 BCE. Three of the world's greatest teachers lived and taught in the Far East within the same century. Buddha (563-483 BCE) born in India, preached for forty five years. Buddhism arrived in China in the 1st or 2nd century and in Japan 538 AD. In 788 A.D., a Japanese monk, Saicho (766-822 AD) founded the Tendai Buddhist sect in Japan. Lao Tse (604-531 BCE) a Chinese philosopher, founded Taoism. A Taoist folk tradition, known as the Koshin belief or practice, was introduced to Japan from China by Tendai Buddhists monks in the late 10 century. Koshin worship spread in Japan during the 10th and 11th centuries and flourished until 1868. Late in the Muromachi period 1338-1573 it became customary for the three monkeys to appear on stone pillars in Japan during the observance of Koshin. We collectors are the most familiar with the Toshogu Shrine, built in the early 17th century, in Nikko, Japan. On the walls of the Sacred Stable, are eight panels which may have been carved by Hidari Jingoro (1594-1651). Jingoro may have incorporated Confucius's Code of Conduct into a story of monkeys depicting man's life cycle. 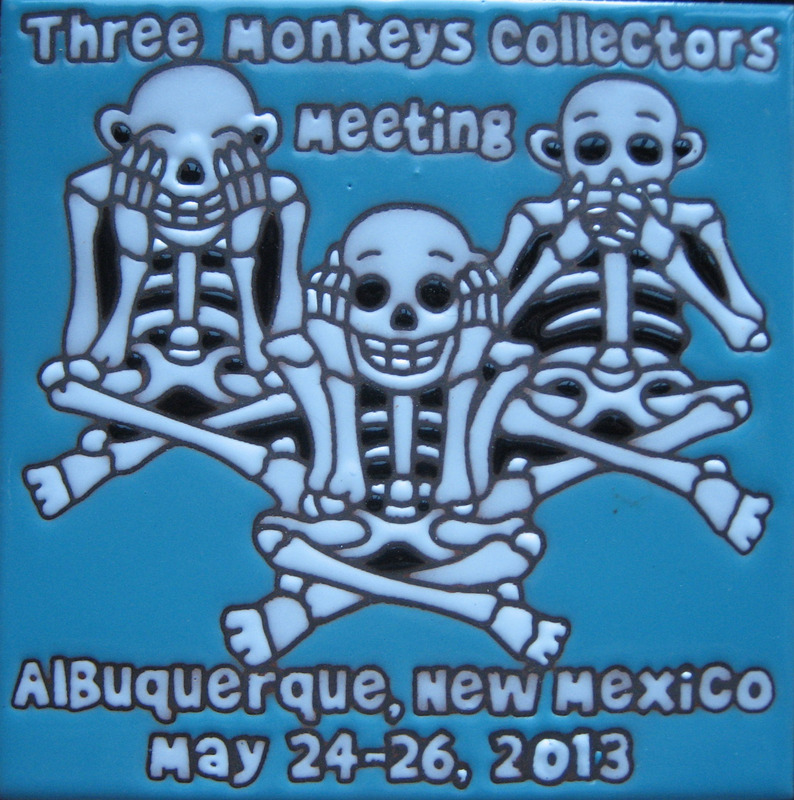 The most famous and most photographed is panel two our three no evil monkeys. The three monkeys appeared on koshin stones perhaps a hundred years prior to Jingoro's carvings. Hence, Jingoro may have been the first known artist to display the images of the three monkeys and with a date certain, but please read on. Panel 1. With love and care of the parent, baby monkey grows. The parent is looking ahead to the future of her child. Panel 2. 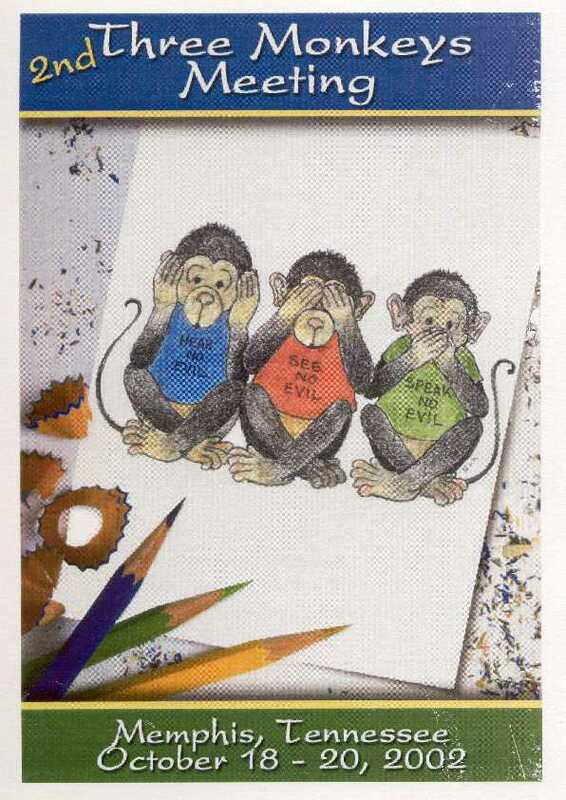 See no evil, hear no evil, say no evil and grow gently. Panel 3. When alone, look around carefully and search for the way one wishes to follow. Panel 4. The higher one seeks the more he wants. Know when to stop wanting beyond his needs. Panel 5. Be kind and considerate to those less fortunate then you are. Panel 6. A mate helps one enjoy life but he must remember that life is not always honey. Panel 7. 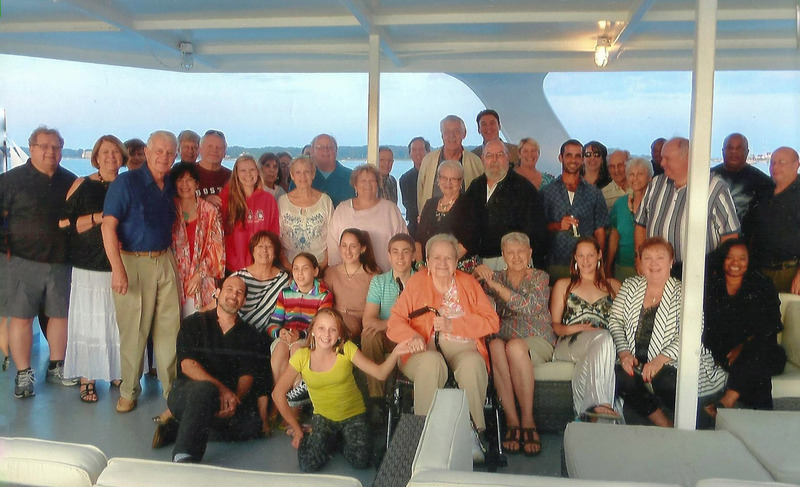 Turbulent life can be sailed through peacefully when man and wife cooperate with each other. Panel 8. Expecting mother monkey. Arrival of new generation shows god's love, paternal love and child's compassion. 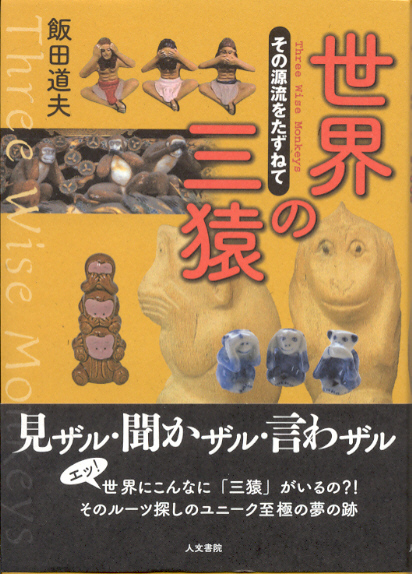 In Spring 2009, Emil Schuttenhelm*,his wife and I visited Japan on monkey business. We spent five days and evenings with Mr. Michio Iida and his wife in Kyoto. We visited many shrines and temples, most associated with the three monkeys. Mr. Iida, was a Kyoto native, a career in the airline industry, lifelong three monkey collector, author of nine books and recently published book on The Three Monkeys World Wide (we regret his books are written only in Japanese). 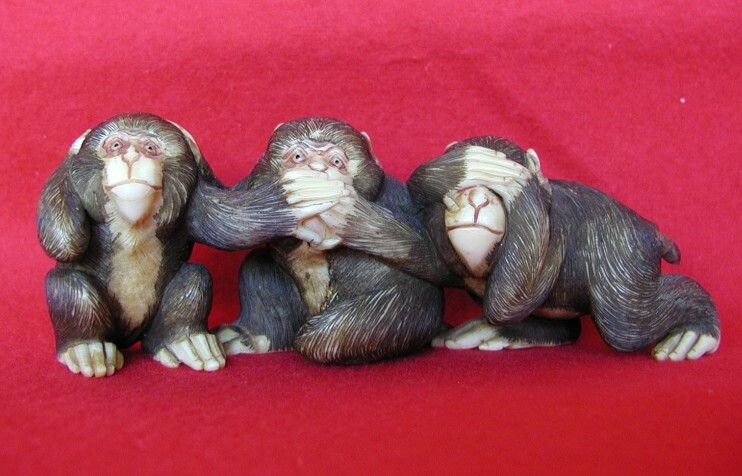 We thought it unusual for a Japanese author to suggest the origin of the three monkeys was not Japanese. Of course we know now Mr. Iida was an extraordinary man. He was a researcher, his books are written for researchers and he was not content to accept what is copied from history book to history book. Mr. Iida was a free thinker, had an open mind, open sight and open hearing. He listened and spoke softly. More about Mr. Michio Iida (Click here). Our visit caused me to revise Origin of the Three Monkeys. Near the Imperial Palace in Kyoto, the Imperial capital of Japan from 794 AD to 1868 AD, is Rozanji Temple, founded in 938, moved to its current site in 1573 and rebuilt after a fire in 1758. Inside the entrance is a prominent large wooden panel depicting seven monkeys. 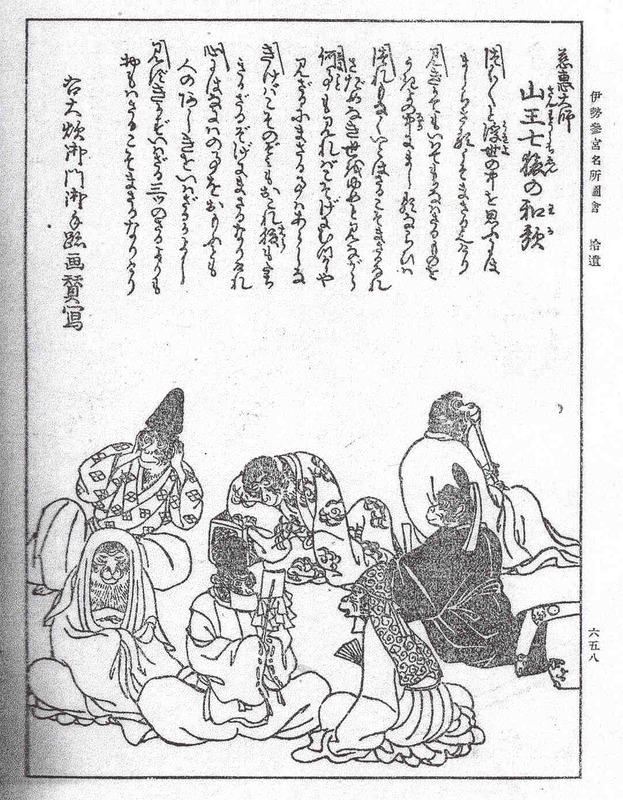 It is believed the seven monkeys are a tribute to Ganzan Daishi (aka Ryougen), a very popular Tendai Buddhist sage (912-985) and author of Song of Sannou. It is possible the three monkeys featured in panels at Toshogu Shrine originated 8 centuries earlier. 1. For lofty ambitions better stand by yourself. 2. In other's company no way not to tell what you see and hear. 3. Without company still face reality not thinking the world is nothing but a dream. 4. Seeing is agonizing, better not to see. 5. Hearing causes desire and discontent, better not to hear. 6. Whatever you think, think not ill of others. 7. Think-not is better than see-not, hear-not, speak-not. 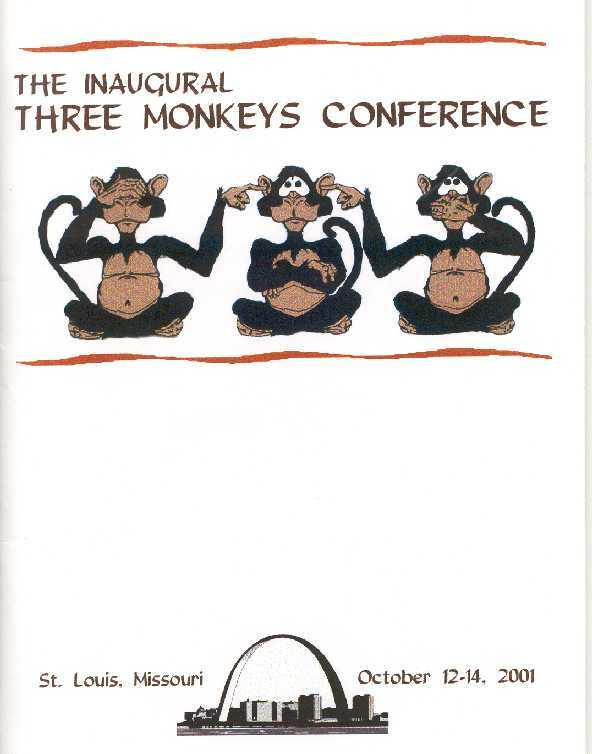 Mr. Iida believed there are many indications the three monkeys predate their appearance in Japan. 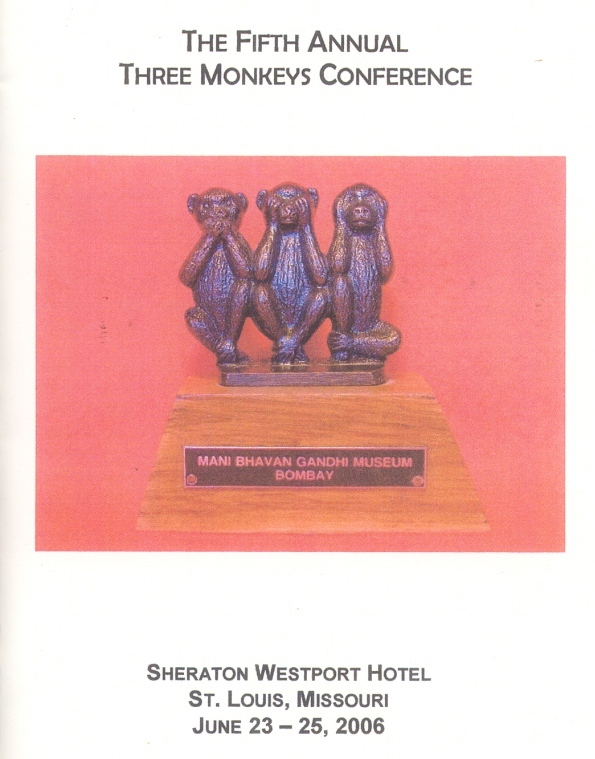 Ancient urban civilizations have come and gone and unfortunately there are few monkey artifacts available in museums. Mr. Iida assembled drawings and photos of the monkeys from civilizations that flourished before the Christian era: in central Africa the Ashanti in Ghana, 3,000 BCE, Benin, and Togo; Ancient Egypt in the north and el Amarna,1350 BCE; the island of Cyprus dating back 9,000 BCE; Mesopotamia, the cradle of civilizations; the Indus Valley and of course China and India and the Indo China peninsula that lies between them. Angkor Wat in Cambodia was of special interest to Mr. Iida. The message may have originated and/or been adopted by other civilizations. One may question is it possible for a message or an image to have spread so far and wide so long ago? Consider the many armies and the ancient trade routes, caravans of horses and of camels and voyages by ships on seas. Monkeys or apes, as they were earlier called, were transported northward from central Africa to serve as pets and status symbols. In the bible, referring to King Solomon, 900 BCE, Kings 10:22 : "For the king had at sea a navy of Tharshish with the navy of Hiram: once in three years came the navy bringing gold, and silver, ivory, and apes, and peacocks." The result of Mr. Iida's research and writings continue to be a source for more research; over time more information will be discovered. 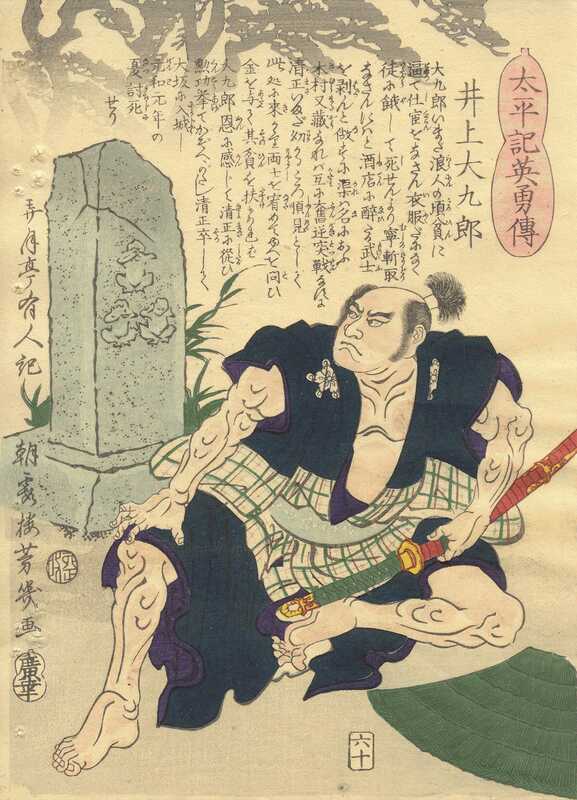 We introduced this webpage as "A 400 year old Japanese image for a 2,500 year old Chinese code of conduct." Maybe the image and/or message is 5,000 or 6,000 years old from earlier civilizations? For the present, all things considered, the timeless image and message remain and are easily understood .... avoid evil in all forms! In a Japanese temple, an image of a meditating Buddha is seated on a lotus blossom. In front of him are three little monkeys, one with its hands over its eyes, another over its ears, and the third covering its mouth. 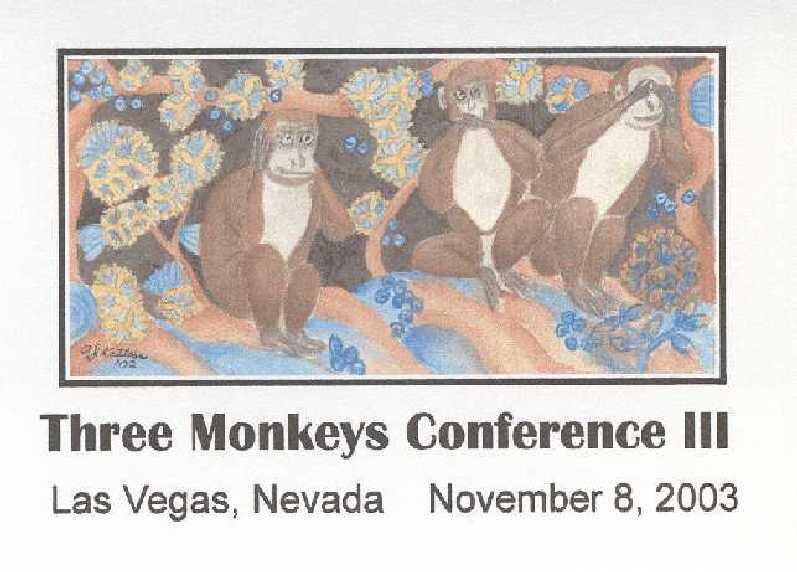 What do these three monkeys signify? By its gesture the first one says: " I do not see evil and folly." The second one says: "I do not hear them." and the third: "I do not speak them." In the same way, the wise man is prudent in what he looks at, in what he listens to, and in what he says. He considers the consequences, thinks of the morrow, and if he does not know his way, he asks. An easy task collecting you say? A noted Dutch collector, since 1975, estimates that there are over 20,000 sets on the market and still growing. Does it not convey their popularity? Is it because their message, in it's simplicity, is instantly understood, transcending many cultures and languages through the centuries? Side by side, back to back, attached, unattached, hanging, totems, threesomes, foursomes, inros, netsukes, okimonos, ojimes, standing, sitting, bending, knees up, legs crossed, some with colored coats or just plain coats, some on bases, some with faces red, some standing on just one leg and even one that does it all. China, Japan, Korea, Taiwan, Philippines, Indonesia, Singapore, Thailand, Sri Lanka, India, Nepal, USA,, Canada, Mexico, Brazil, Uruguay, Ireland, United Kingdom, Switzerland, Holland, Italy, Germany, Austria, Belgium, France, Spain, Sweden, Denmark, South Africa, Uganda, Zambia, Kenya, Australia. Gold, silver, pewter, brass, bronze, iron, copper, spelter, hippo ivory, mammoth ivory, elephant ivory, bone, jade, lapis, amber, soapstone, clay, ceramic, porcelain, glass, ironwood, cedar, boxwood, teak, olivewood, coconut, bamboo, plastic, plaster, resins, celluloid, tagua nut, coal and rubber. Clocks, lamps, ashtrays, candlestick holders, little boxes, bags, coat hangers, mugs, cups, jewelry, games, forks and spoons and knives, napkin holders, letter openers, bottle openers, corkscrews, dinner bells, towels, rugs, sweaters and shirts and socks, bookends, incense burners, desk sets, fan pulls, toothpick holders, paperweights, wall hangings, dishes, bowls, vases and on and on. Not to forget in poems and pictures, in advertising, on book covers, on video covers! Precious, cute, priceless, adorable, lovely, superb, very nice, very old, early, brand new, rare, vintage, Meiji, mint in box, exquisite, fabulous, classic, unique, unusual, different, whimsical, weird, awesome or just plain "cool". And when you think you've got enough, it's time to grow to other stuff. No evil pigs and billy goats, frogs and bears and dogs and cats, no telling when, no evil bats?